Did @BilldeBlasio bury the evidence of NYC’s unionized charter failure? “By their fruit you will know them,” the gospel says. “The bad tree bears bad fruit.” The lesson came to mind late Friday with news that the city would close three Brooklyn charter schools. 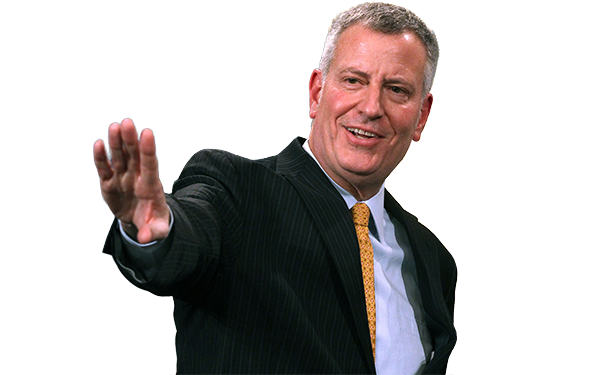 Mayor de Blasio’s no fan of charters — why bury the story late Friday on a holiday weekend? Because two of the schools are represented by the United Federation of Teachers. Another unionized charter in the borough was shuttered last year. Though only one in 10 city charters are unionized, three of a total of five slated for closure are affiliated with the UFT. The one unionized charter remaining in Brooklyn is the UFT Charter School — founded, staffed and managed by the union — and the difference between how it says charters should work and how it actually runs its own school is illuminating. Then-union head Randi Weingarten opened the school in 2005 to prove charters could flourish under the union contract. But the East New York school was undone by internal conflict and high turnover; it received a probationary three-year renewal in 2010 and, in 2013, won two more years by consolidating grades K-12 in one building — a co-location stiffly opposed by the traditional junior high forced to give up space. The state agreed to the renewal despite the school’s multiple instances of corporal punishment, lost standardized tests, violations of Open Meetings law and the Individuals with Disabilities Act (students weren’t provided with required settings), failure to perform criminal-background checks and attrition of high-needs students. The next year, fewer than 20 percent of UFT students tested proficient in English language arts and math; the school got the city’s worst score, and the lowest possible, on the School Quality Review, failing in every category. In 2015, its K-8 students achieved just two of 30 performance goals and the elementary and middle schools closed; the high school remains open. It’s certainly true that disadvantaged children typically struggle on standardized tests, but in every year since at least 2009-10, the UFT charter enrolled far fewer students with special needs than other schools in its district. In fact, the union’s charter enrolled the second-lowest percentage of students with disabilities among the district’s 13 high schools and the lowest percentage of English-language learners. There were many at-risk students nearby to draw from. One quarter of students in the two traditional high schools competing with the union had disabilities; ELL rates were also much higher. In the union’s own building, 37 percent of the students in a different, failing junior high had disabilities. Nor has retention been a strength. In each of the union high school’s three graduating classes the number of seniors was 25 percent to 28 percent less than the number that started as freshmen. Among graduates, only 11 percent leave ready for college. I want to do the right thing, he seems to say, but I need to be forced to. Rather than declaim about the purported failures of the “charter industry,” the union would do well to consider its own school. And then, educator, heal thyself.